RARE. 1960s Florence Knoll Dressers Excellent, original condition. Walnut, white laminate top, chrome drawer pulls. Original label, Knoll International, Park Avenue NYC. W36″ x D19 1/2″ x H30″ USA, 1960s. Three available. USA, 1960s. $2000. 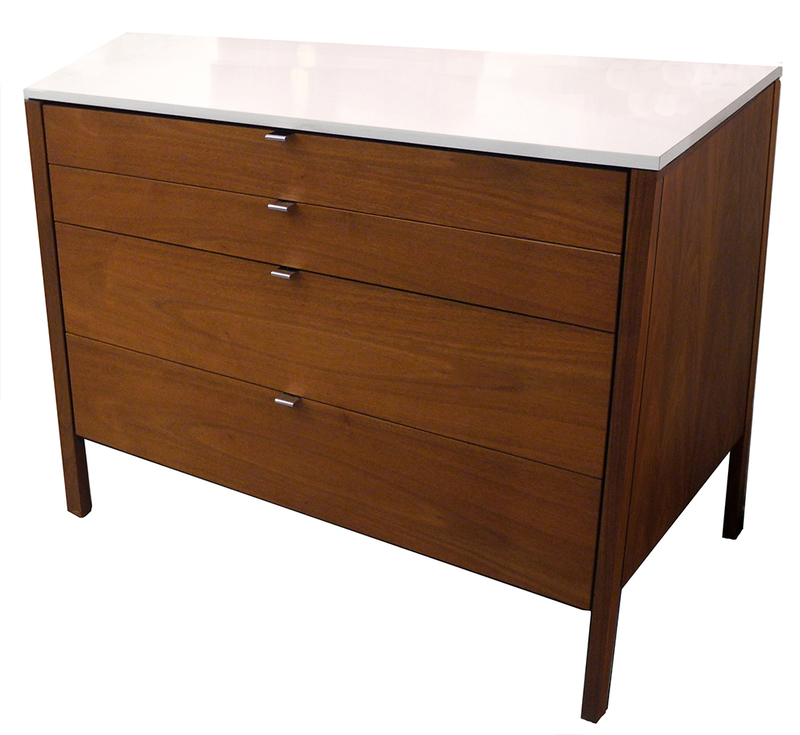 each Also available: modular desk/vanity component: W28″ x D19 1/2″ x H30″, configured with two dressers.